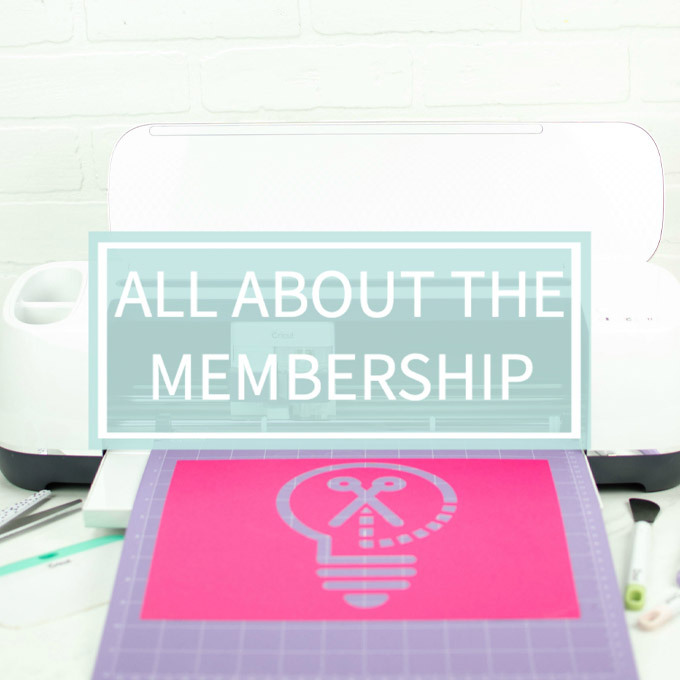 HOW TO USE CRICUT PRINTABLE IRON-ON DON’T MISS OUT! Hey everyone, I wanted to share a super fun tutorial with you all today. 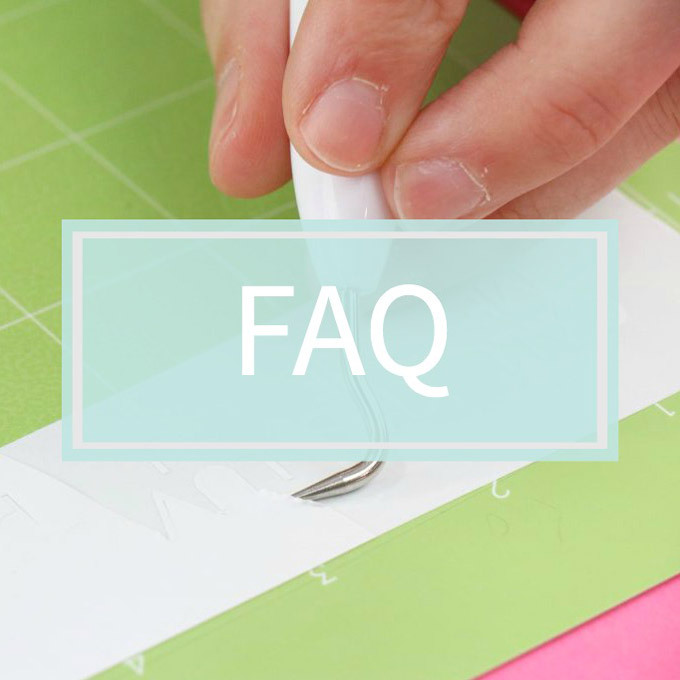 I wanted to show you all How To Use Cricut Printable Iron-On. Lot’s of people have been wondering about it so I thought it would be a good idea to show you all how to use it. We’re going to use a print and cut file from Makers Gonna Learn on a T-Shirt today, and it turned out so good. 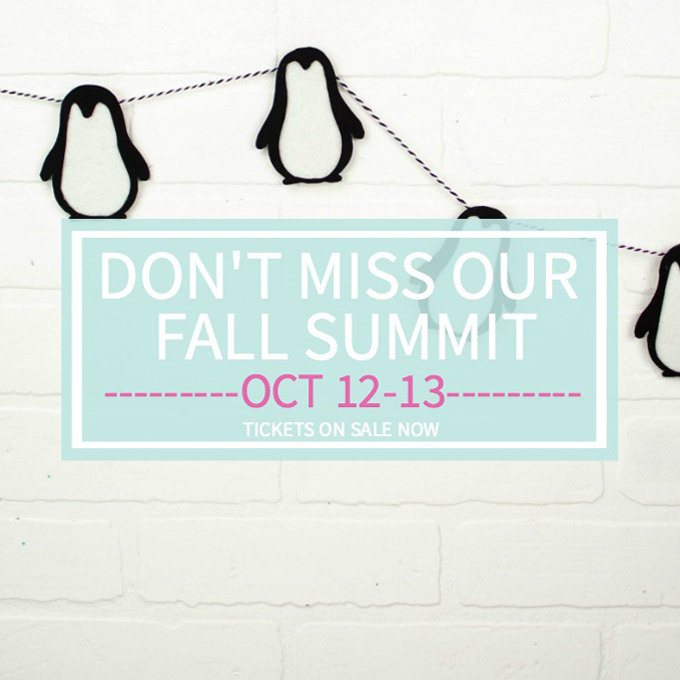 If you have a die cutting machine and want to get inspired, be sure to check out the website. 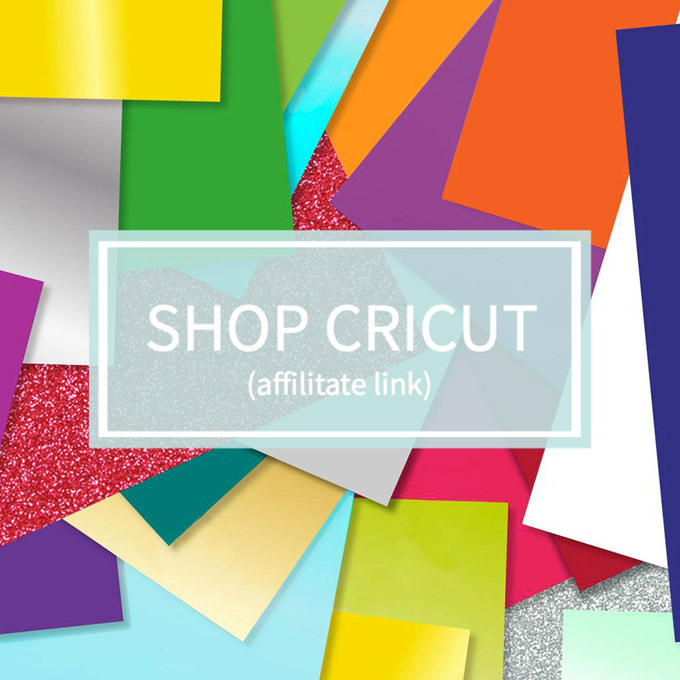 I hope you enjoy this fun DIY Cricut tutorial. 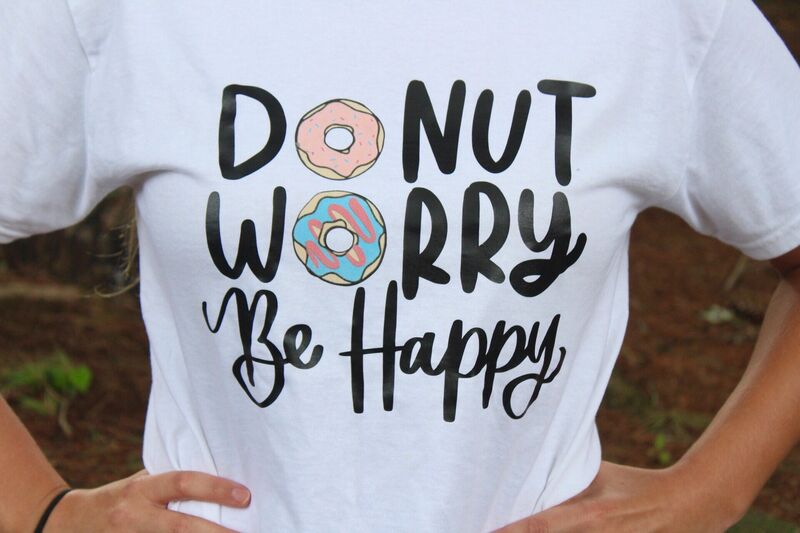 Open up the “donut worry be happy” file in the Design Space canvas and size the image to fit your T-Shirt. Select your two donuts and on the right sidebar in the layers panel. Make sure they’re set to “print then cut” (the icon is a printer). 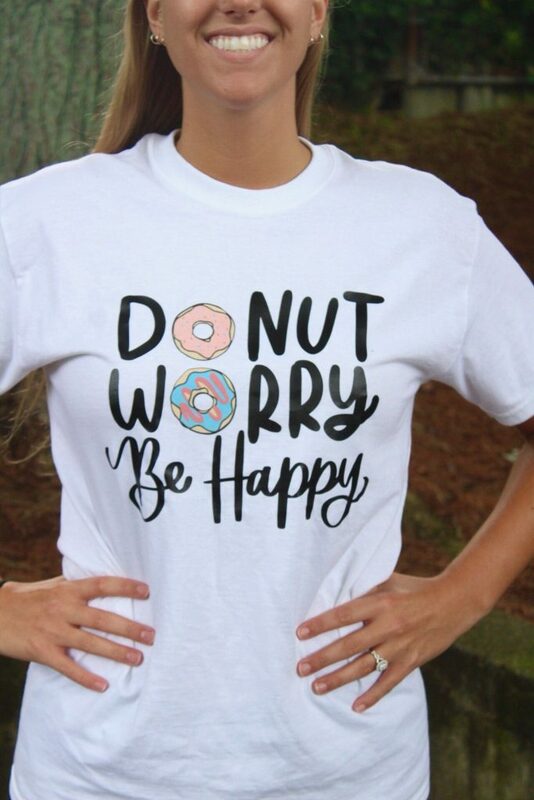 Let your Cricut cut your words in black Iron-On while your printer prints out your donuts onto your Cricut Printable Iron-On. I noticed the printable Iron-On needs some time for the ink to dry as well. Once everything is cut and dry, lay your shirt down and apply your Iron-On where you’d like it to go. Preheat your EasyPress to 340 degrees and let it heat up. 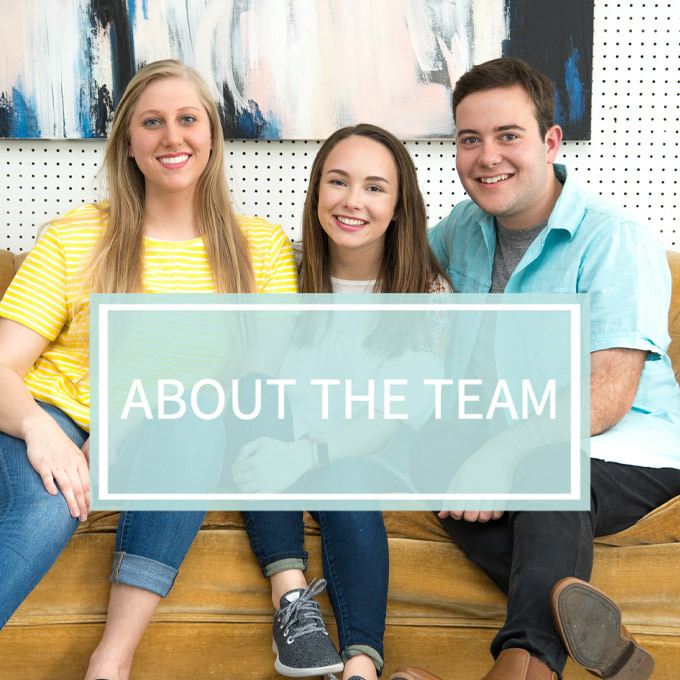 Heat your Iron-On for 50 seconds while applying heavy evenly distributed pressure. Once it’s completely cooled, remove your transfer sheets and enjoy your new punny shirt!